This fascinating manuscript describes theriaca, the ancient medicinal compound initially used as a cure for bites of poisonous snakes and wild animals (in ancient Greek, thèrion) and later widely employed as a panacea. 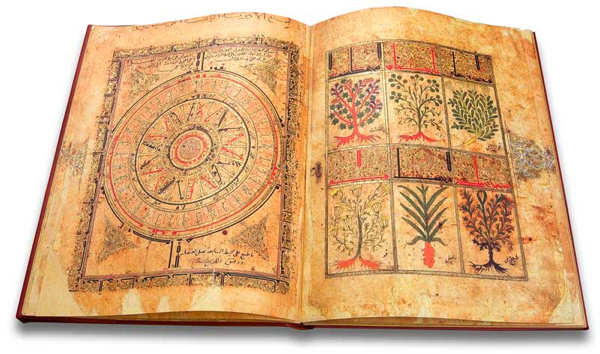 The work of Muhammad ibn Abi al-Fath and dated 1198, the manuscript includes illustrations of the medicinal plants used for the recipes drawn up by the most important physicians in the Greek tradition, such as Galen of Pergamum and Andromachus. The number of ingredients used to create the medicine increased progressively with the centuries until it exceeded a hundred. Theriaca originated in Greco-Roman antiquity and its popularity was furthered in the Islamic world. This particular manuscript is the earliest and most impressive of the known theriaca treatises. Other later specimens are in Beirut, Cairo, St Petersburg and Vienna. Conserved in the Bibliothèque Nationale in Paris (ms. Arabe 2964), this treatise is known as the Paris Kitab al-Diryaq and it is not just a medical treatise but also an engaging series of tales and anecdotes about the nine Greek physicians of antiquity who contributed to the development of the medicine. In case you missed it: check out the beautiful gallery of the Kitab al-Diryaq and find out all the facsimile editions available on Facsimile Finder! The Paris specimen, written in ancient Arabic with notes in Persian, consists of 36 folios (72 pages) embellished with magnificent miniatures featuring traditional Arabic motifs. The introductory pages (1-5) are devoted to the general contents and precede the two amazing pages of the frontispiece dedicated to the moon and its astrological and magical myths. The calligraphic pages that follow (from 8 to 49) are individual works of art in which the Kufic script is also used as a decorative feature. Following the title of the work, which is repeated several times, are the portraits of the nine medical scholars (Andromachus the Elder, Heraclides, Philagrius, Proclus, Pythagoras, Marinus, Magnus of Mesa, Andromachus the Younger and Galen), each with his own theriac recipe, and four anecdotes relating to Andromachus the Elder, Heraclides, Philagrius and Proclus. The presentation of poisonous snakes and “viper flesh” is linked to Andromachus the Younger. 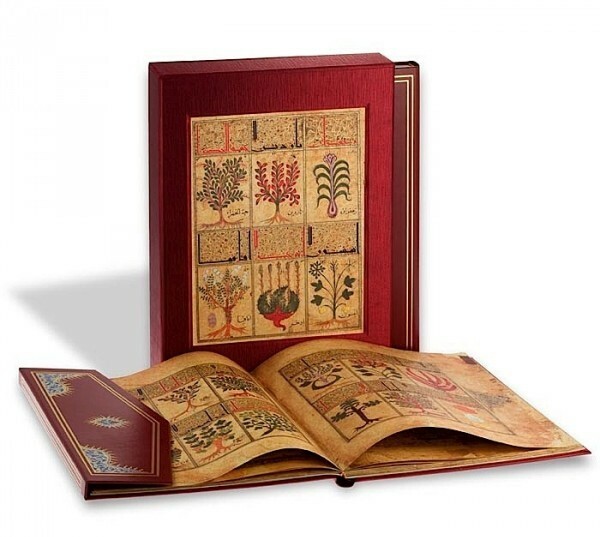 Then there are twelve pages with the illustration of the plants used for the theriaca: these include rocket, liquorice, cardamom, opium, white pepper, incense, capers, acacia, valerian, black pepper, garlic and wild leek. The Thériaque de Paris facsimile is produced by Aboca Edizioni using the most advanced techniques. Measuring 28.5 x 37 cm, it consists of 72 pages. 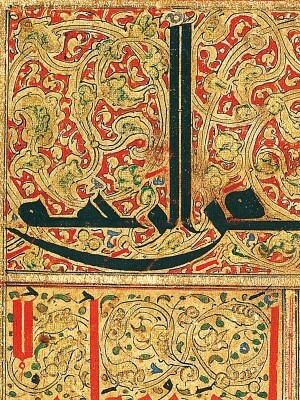 The commentary on the manuscript, translated in six languages (two versions available: Italian-German-Spanish or French-English-Arab), is written by five expert Arabists. 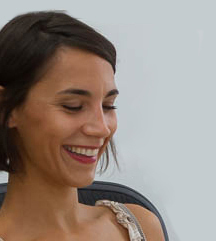 Jaclynne Kerner, Oriental art historian at the California State University Long Beach, wrote a descriptive reconstruction and a classification of the Paris Kitab al-Diryaq. Marie Geneviève Guesdon, a bibliologist at the Bibliothèque Nationale de France, gave an accurate history of the manuscript and codicological presentation. Oleg Grabar, Islamic art professor at the universities of Princeton and Harvard, explained the work in its historical and literary contexts. Françoise Micheau, a lecturer of Medieval History of Islamic Countries at the Sorbonne University, expounded on the use of the medicine in the Greco-Roman and Arab worlds; Anne Caiozzo, an Arabist at the Université Paris-Diderot, dedicated her monograph to the analysis of the superb title-page, describing with fervour the magical and astrological myths in the Arab world. Facsimile edition and commentary are boxed together in an elegant case.